Home » Connectivity » The new POTRAZ system: What’s in it for you and the government? The new POTRAZ system: What’s in it for you and the government? There’s a bit of good news to look forward to for telecoms consumers and the government. 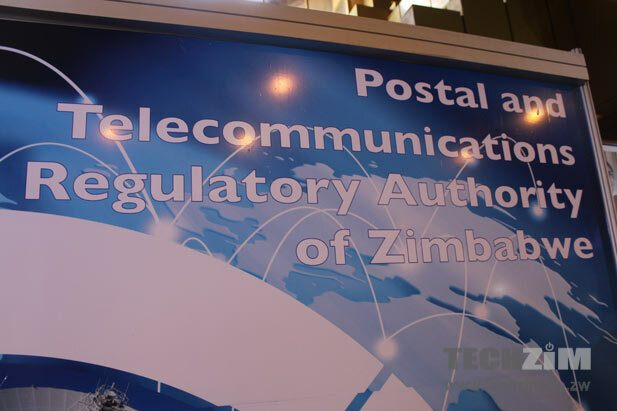 POTRAZ, the telecoms regulator, reportedly published a tender for a Telecommunications Traffic Monitoring System. This system is meant to monitor mobile money transactions and track the routing of telecoms traffic. Currently, the mobile network operators (MNOs) have been giving reports to POTRAZ based on good faith obtained by any institution of good repute. But let’s face it though, reputation has been questionable in some of the MNOs with the obvious being Telecel and its latest botches with the Telecommunications Ministry and Econet with its tariff adjustment challenges. It is quite possible with the attitudes displayed that there may be need to police the telecommunication industry more intensively. POTRAZ will now be empowered to detect any lapses or delays in implementation of such directives as the new tariffs / billing regime, and penalise defaulters appropriately. More obvious however for the timing of this system is the government’s need to beef up its treasury coffers in every sector including telecoms. You will note that beginning 2014 the government imposed a $0.05 tax on mobile money transactions. Telecommunications is one of the few performing industries in the face of the current economic challenges, mainly due to mobile money services. An estimated $1.3 billion was transacted in the first quarter of 2015 alone via the use of electronic transactions, specifically mobile money and these are rich pickings. Any leakages in revenue emanating from lax or inefficient or ineffective policing would thus be intolerable. POTRAZ will also be hoping to reduce the risk of telecommunications fraud, particularly bypass fraud, a technique used by unlicensed operators to divert incoming international traffic and illegally terminate it to appear as local calls on the public networks creating a margin by charging varying interconnection fees. Services like Guroo came under scrutiny for this and Zimfon’s VOIP failed to get licensed as it was more or less conformed to this practice. Governments worldwide lose over 150 millions of dollars yearly to these type of fraudsters. With the new system, consumers will be glad to know that the system introduces a direct interface for the regulator to measure the Quality of Service (QoS) provided by the MNO. This includes whether one has been billed correctly, system uptime, resource distribution to reduce congestion, handle and verify complaints and so forth. Operators failing to meet minimum standards and service level agreements would again be penalised. Fringe benefits of the system of course include the ability to track and recover stolen devices, predictive development (such as new base stations) based on monitoring historical statistics. What sort of practices from our operators do you think will be exposed by this system? Death by subscription: Are you willing to pay $3 a month for ZTV? Though late to the party, POTRAZ has done well in getting this system. I don’t really think operators were declaring the accurate amounts transacted through the mobile money payments system and it should be the first thing to be exposed. I do not think this will make any difference at all. Once upon a time POTRAZ did put a tender out for QoS. This was meant to improve the customer experience and penalise MNOs whos networks were not meeting the requirements. POTRAZ is a reactive organisation which does not proactively react to modern telecoms and IT partens. What l see is a organisation which behaves like Zimra of Telco industry, always up for something to get more money and penalise players without investing the money back. When is the last time Potraz gave update on Universal Services Fund (USF)?